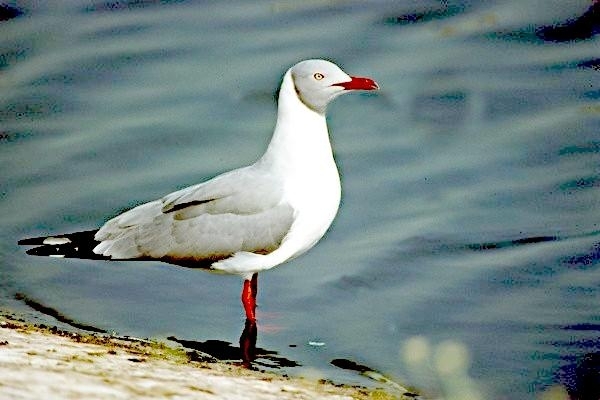 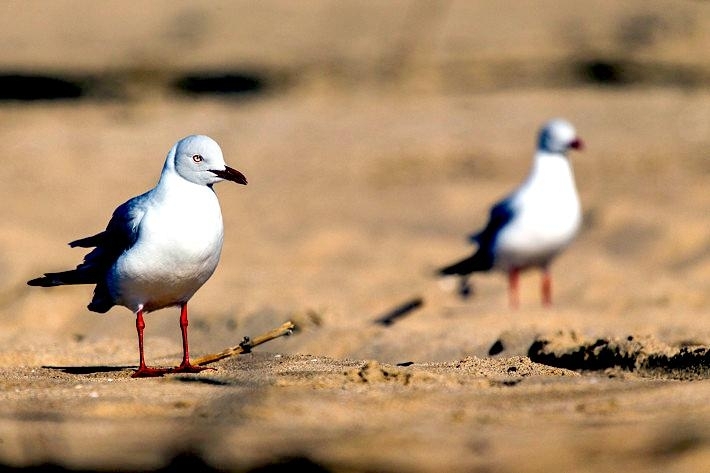 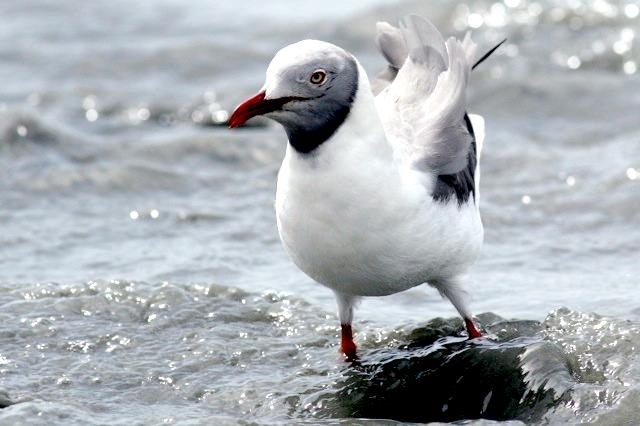 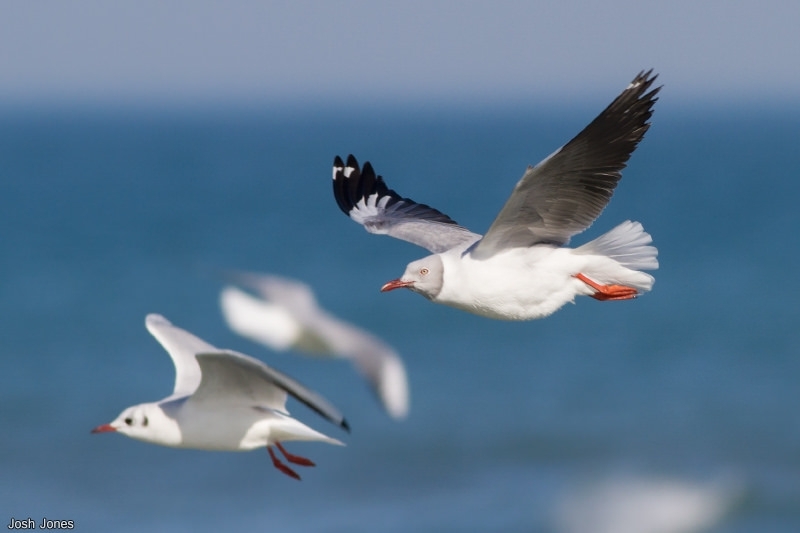 The Grey-headed Gull is a small gull which breeds patchily in South America and Africa south of the Sahara. 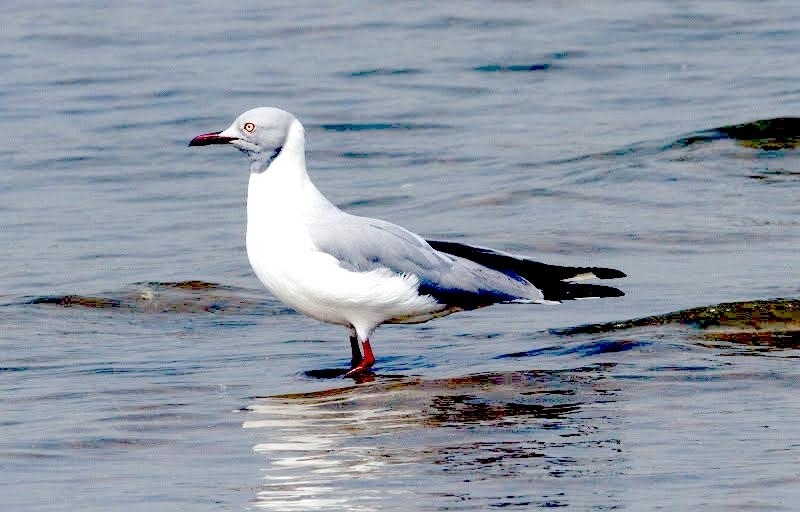 It is not truly migratory, but is more widespread in winter. 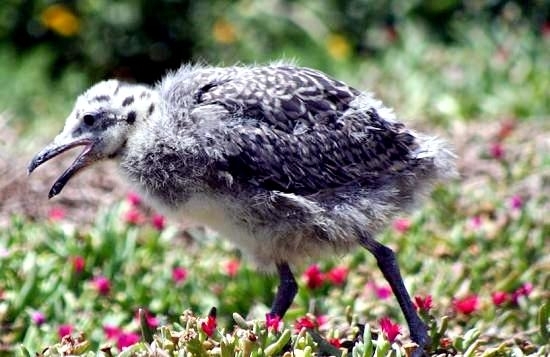 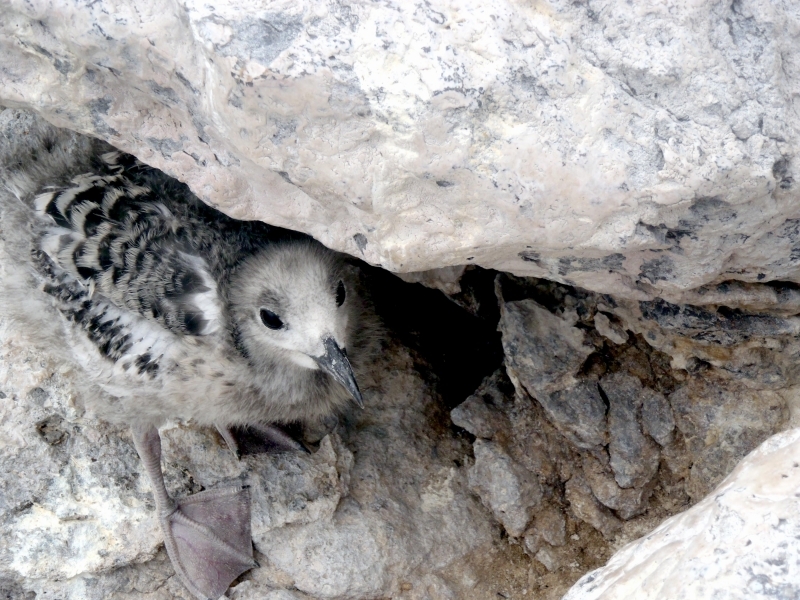 This species has occurred as a rare vagrant to North America and Spain. 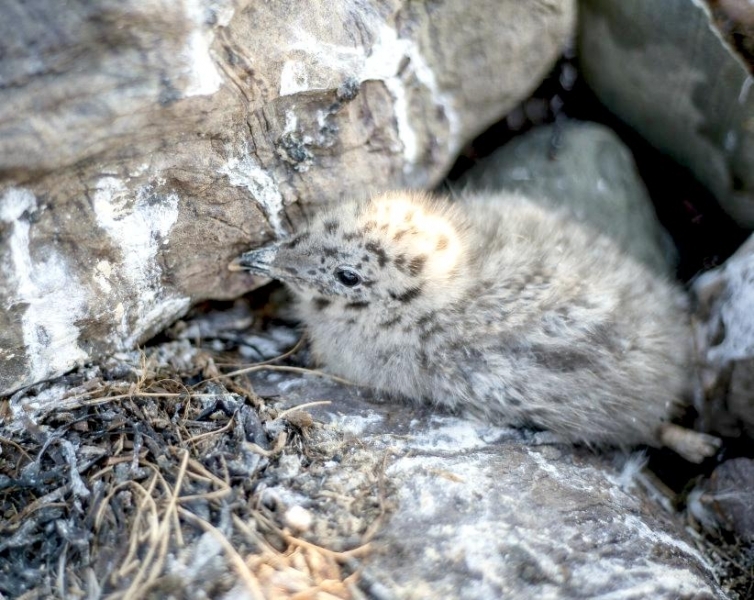 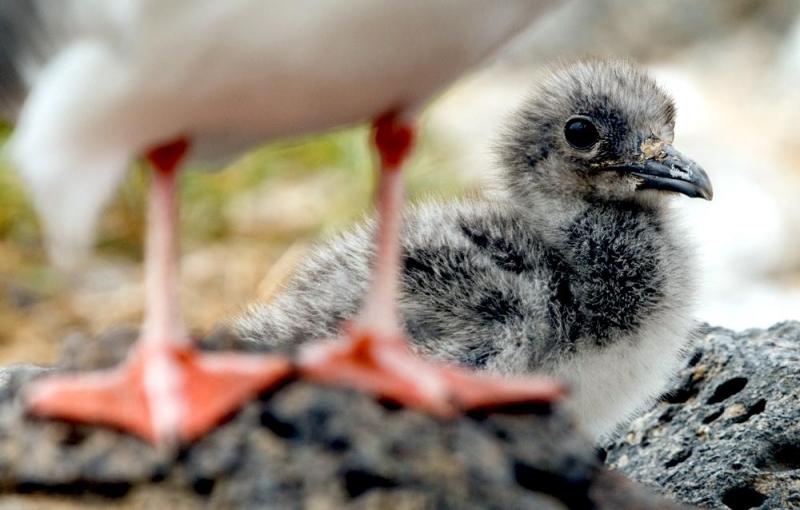 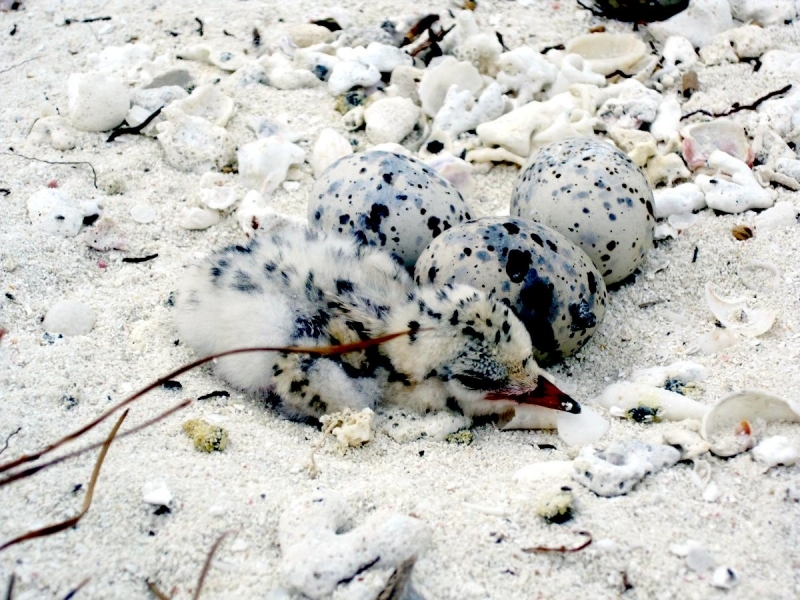 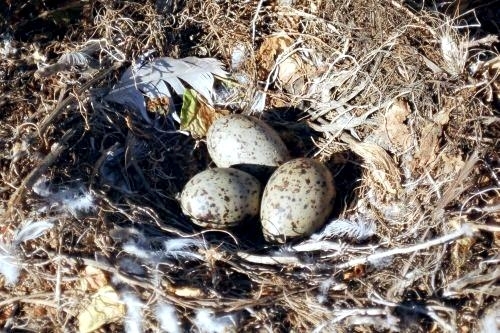 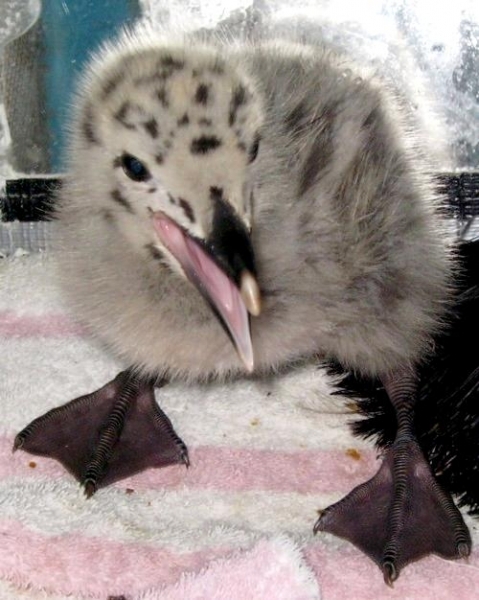 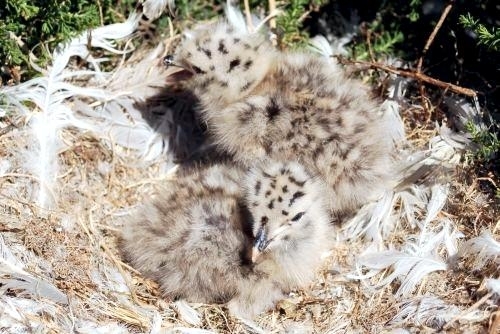 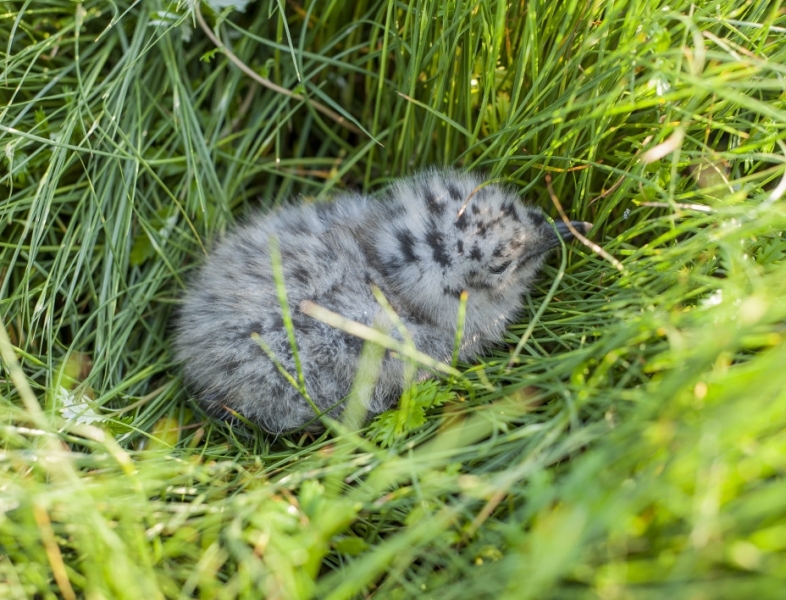 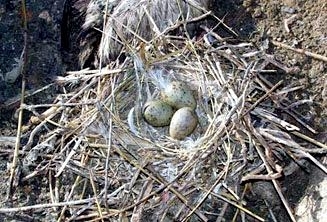 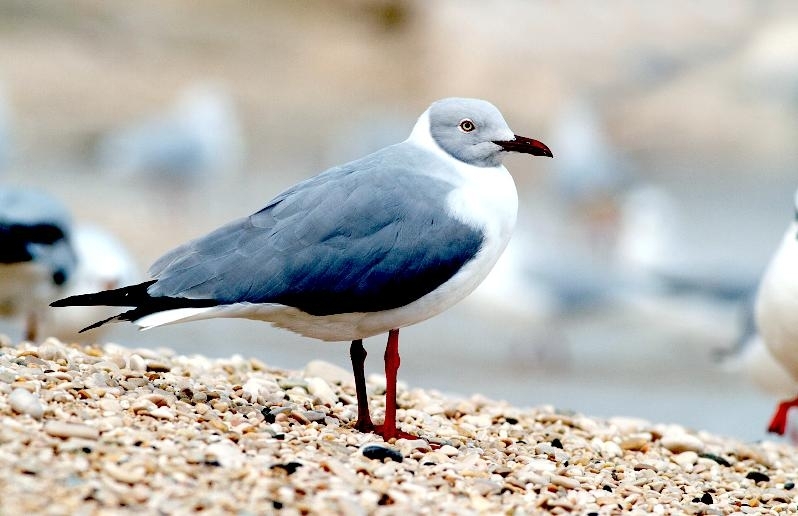 This locally abundant gull breeds in large colonies in reed-beds and marshes and lays 2 or 3 eggs in a nest that can be on the ground or floating. 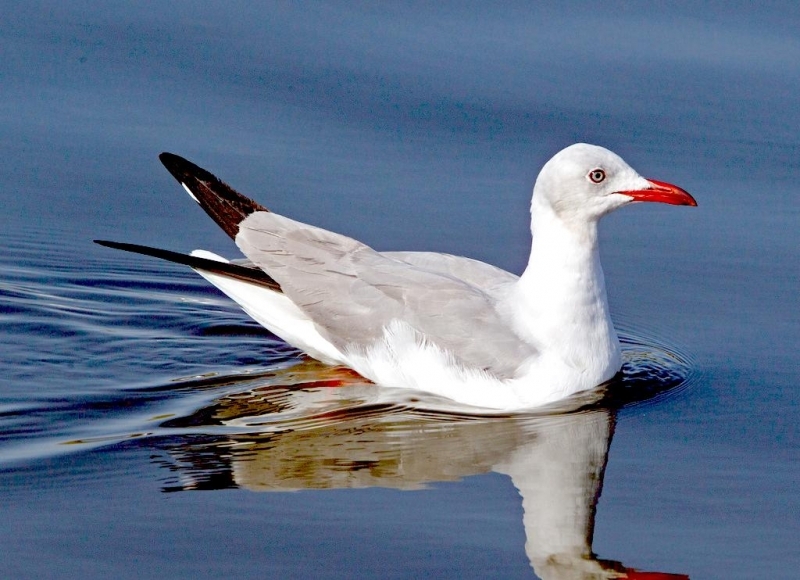 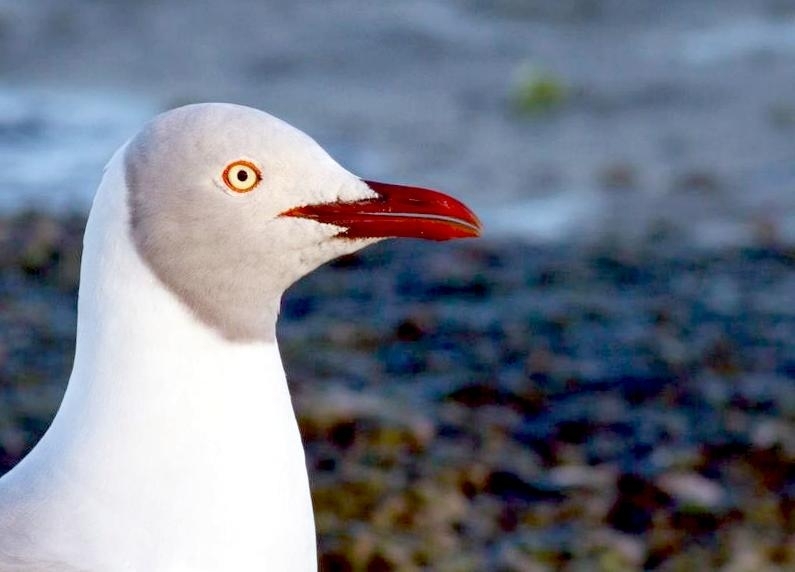 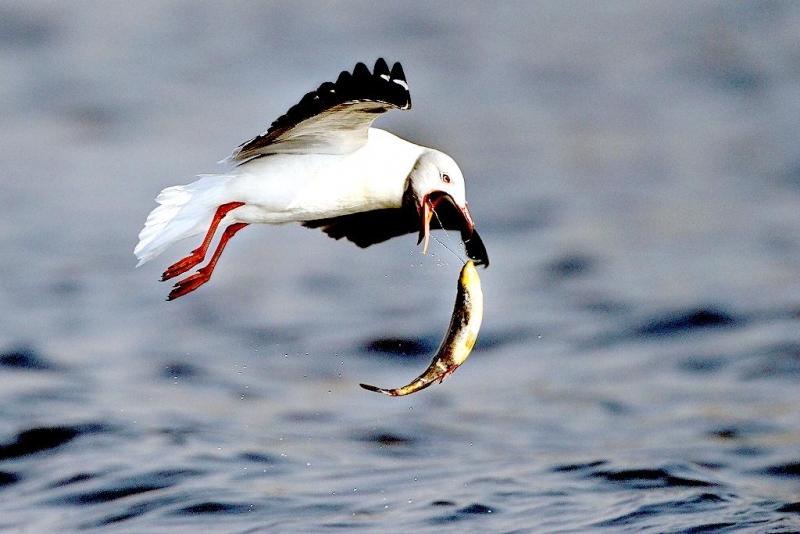 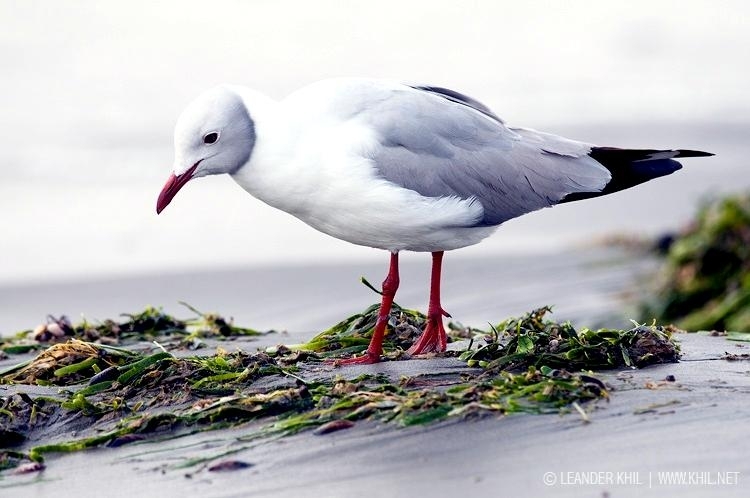 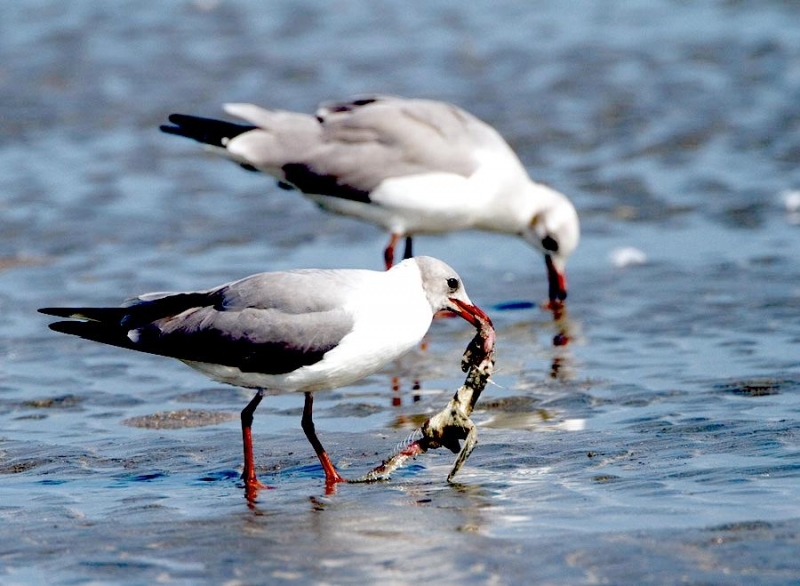 Like most gulls, it is highly gregarious in winter, both when feeding or in evening roosts. 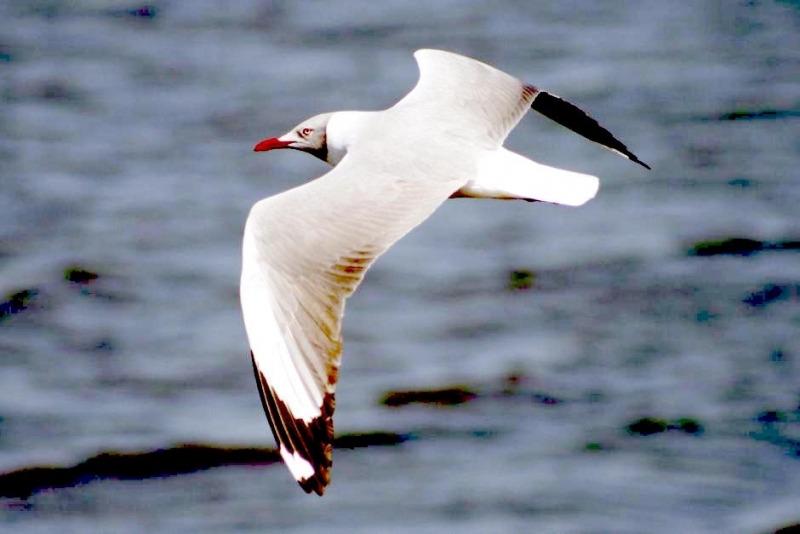 Although it is predominantly coastal or estuarine, it is not a pelagic species and is rarely seen at sea far from land. 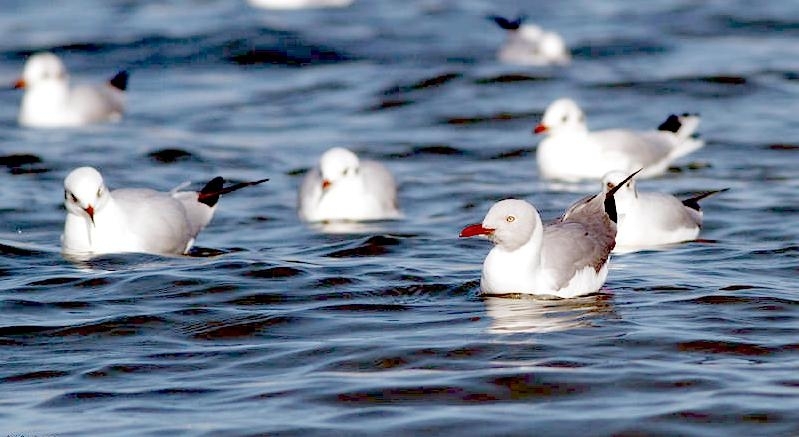 Flocks numbering hundreds or thousands of these gulls can form when the feeding conditions are appropriate. 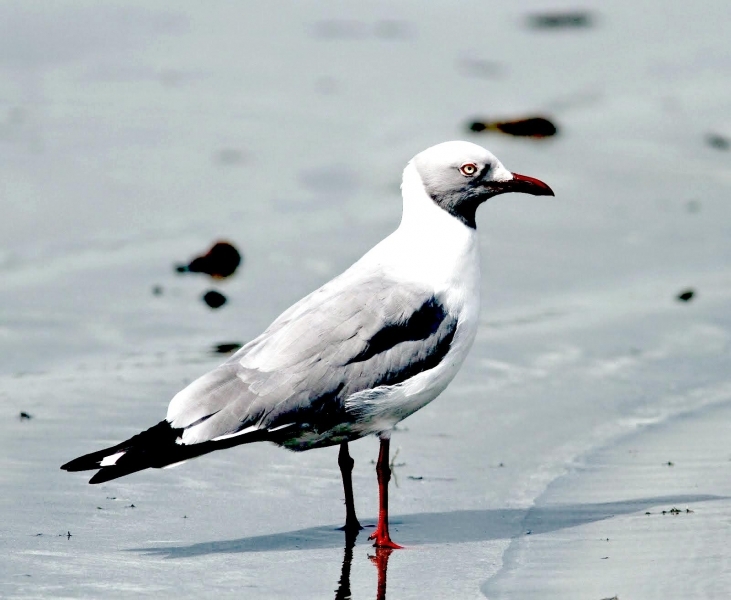 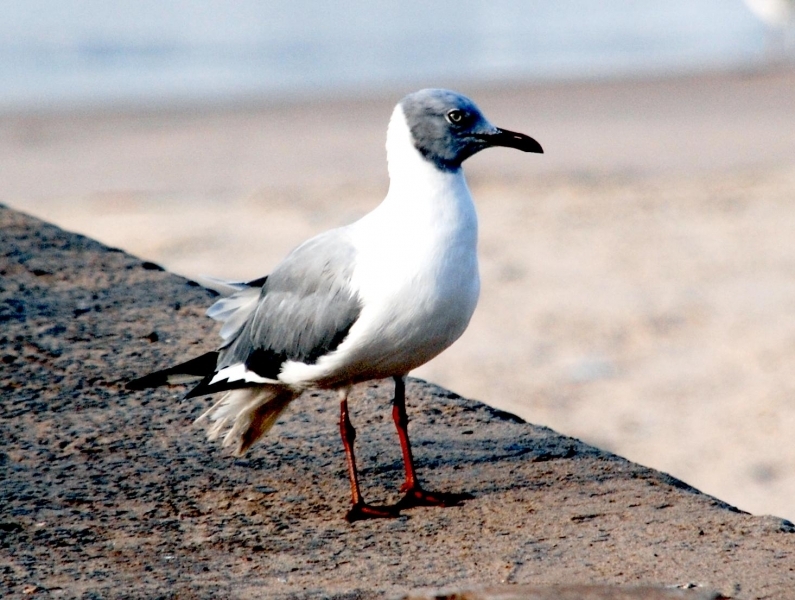 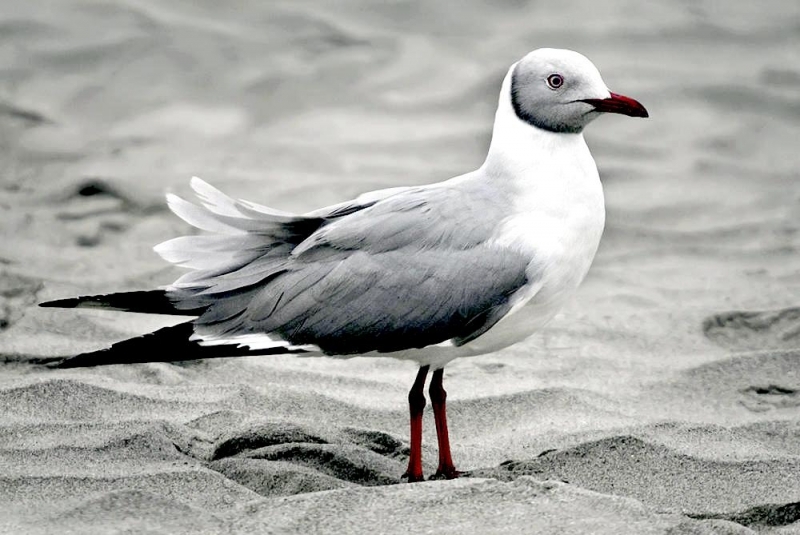 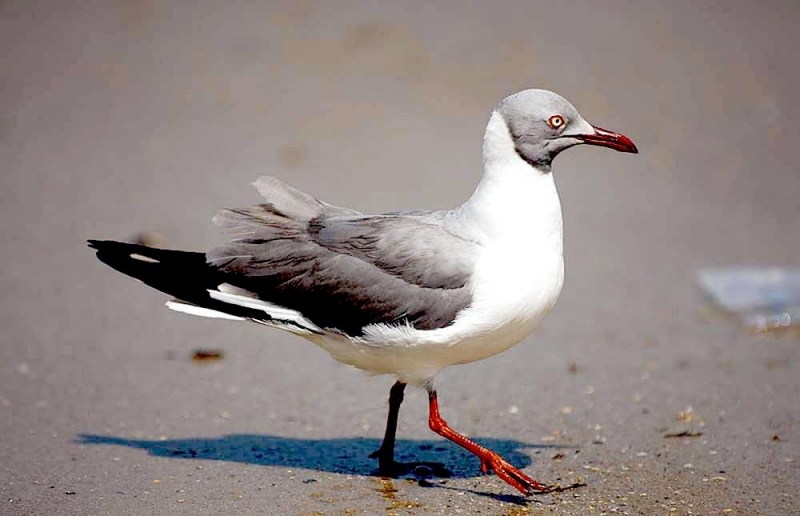 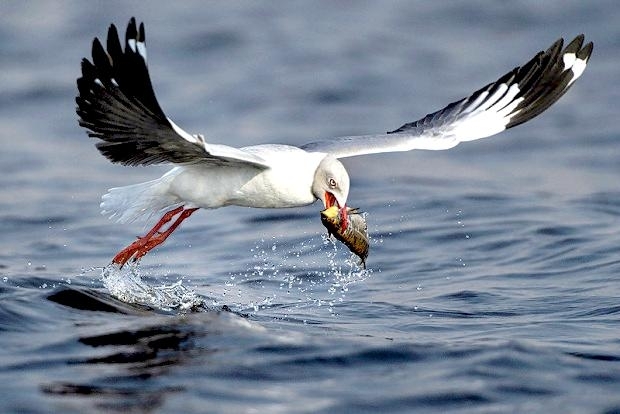 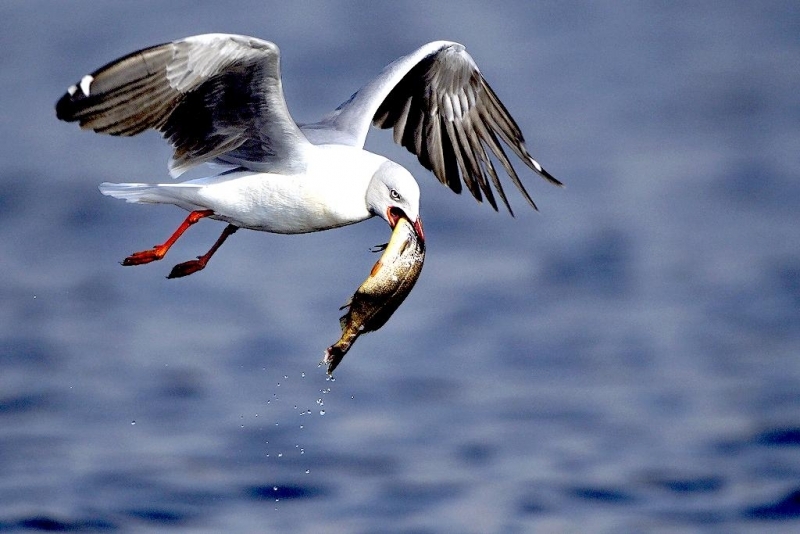 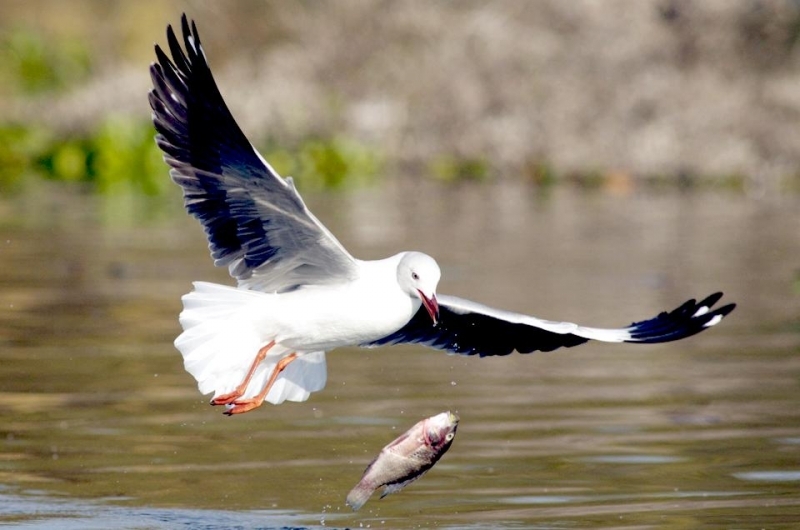 The Grey-headed Gull is slightly larger than the Black-headed Gull at 42 centimeters in length. 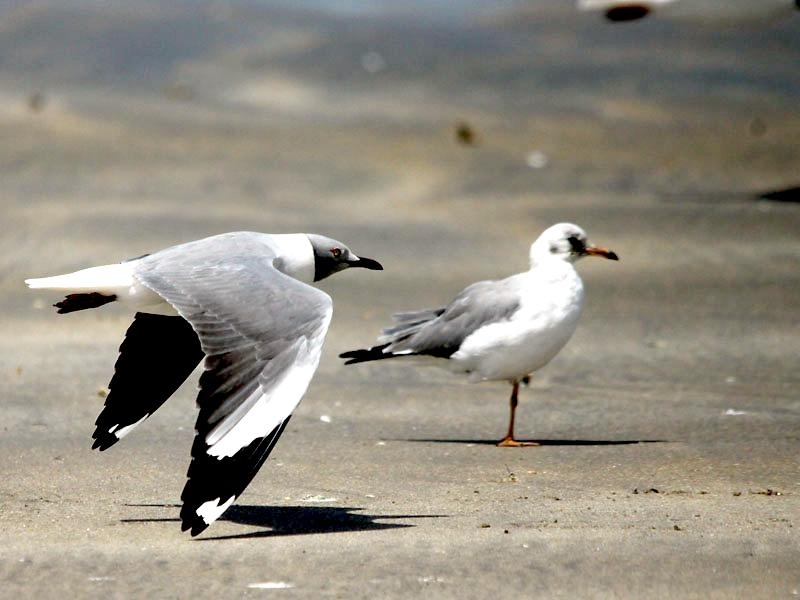 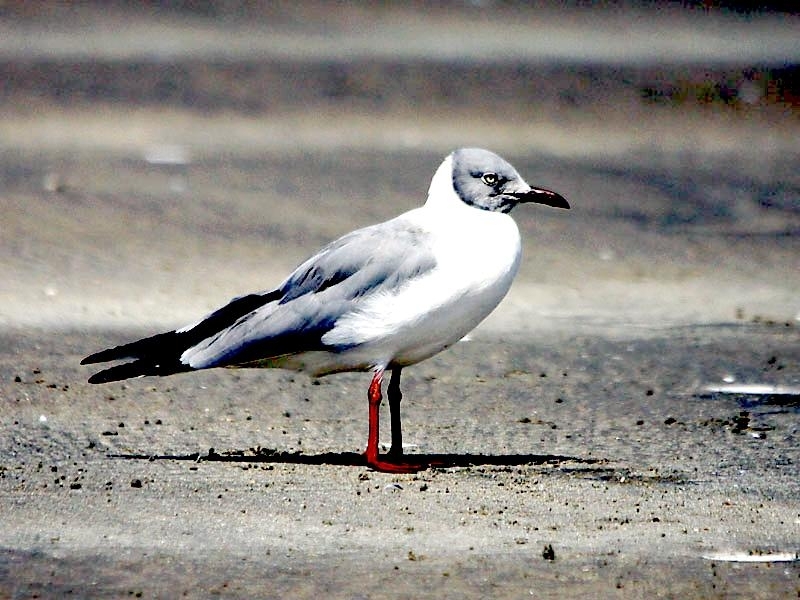 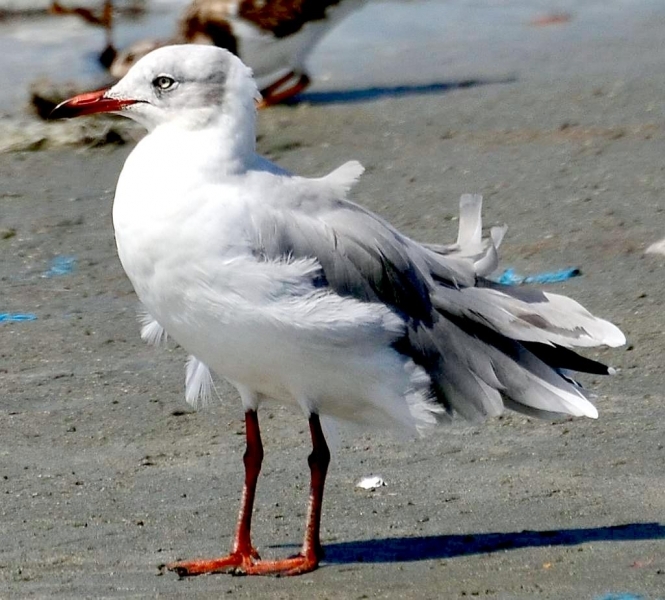 The summer adult has a pale gray head, a gray body, darker in tone than the Black-headed and red bill & legs. 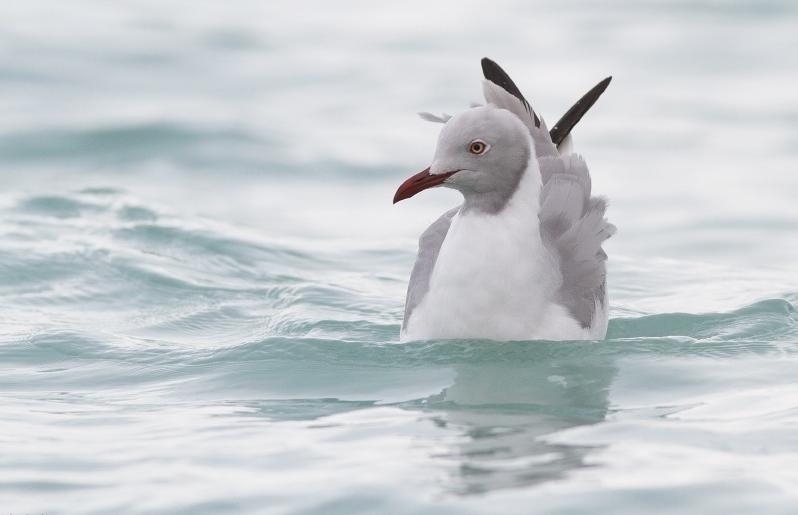 The black tips to the primary wing feathers have conspicuous white “mirrors”. 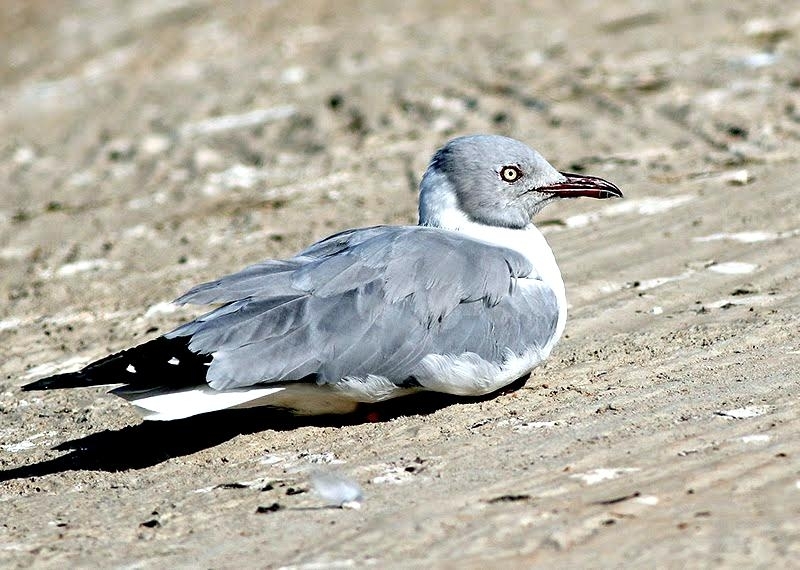 The under-wing is dark gray with black wingtips. 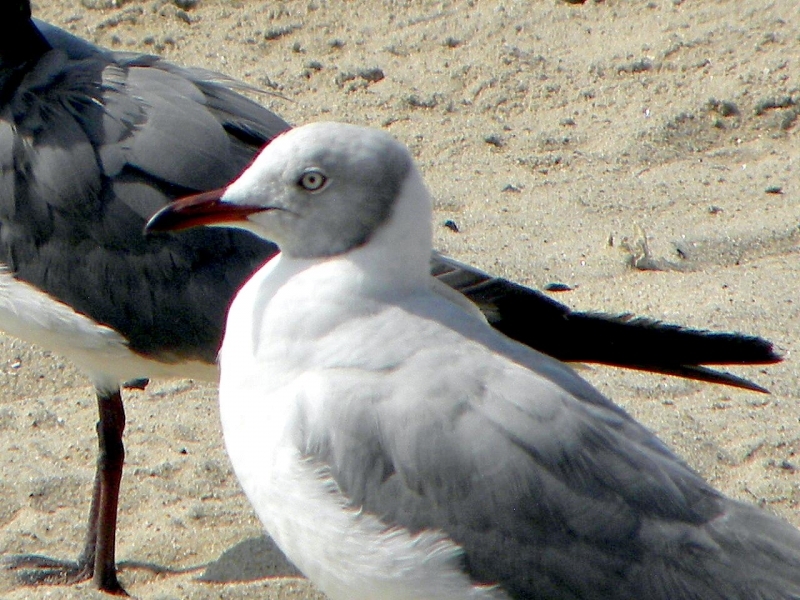 The gray hood is lost in winter, leaving just dark streaks. 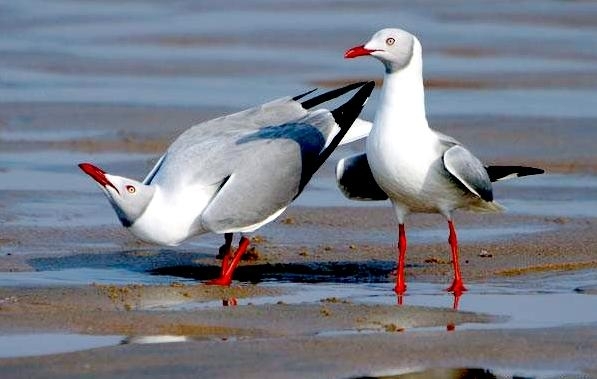 Males & females look alike. 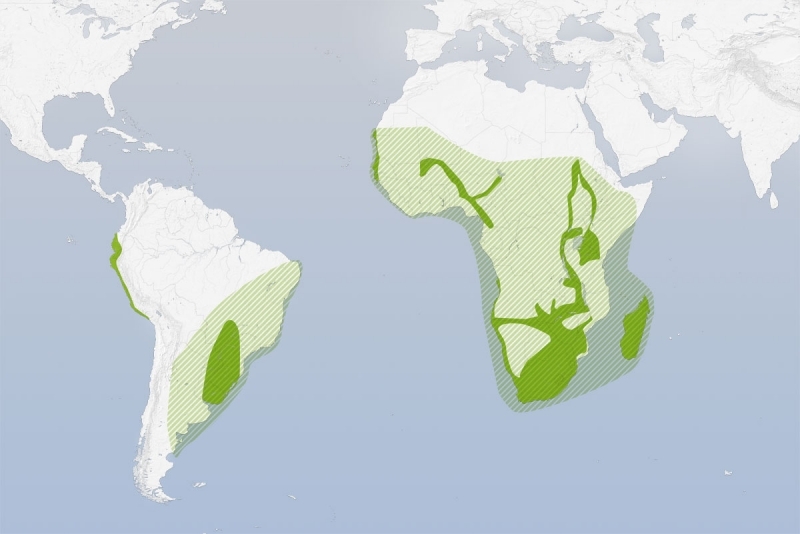 The South American race is slightly larger and paler-backed than the African subspecies. 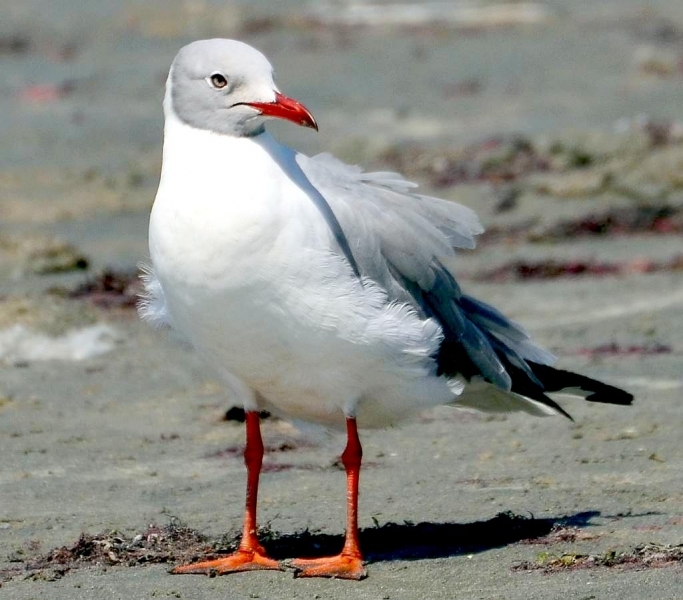 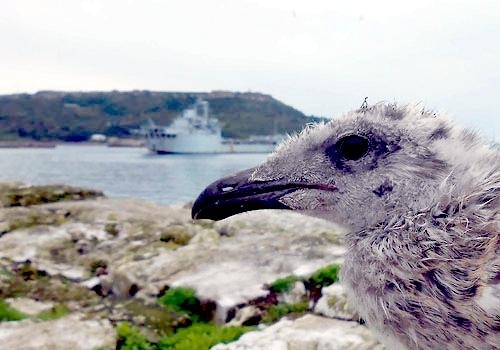 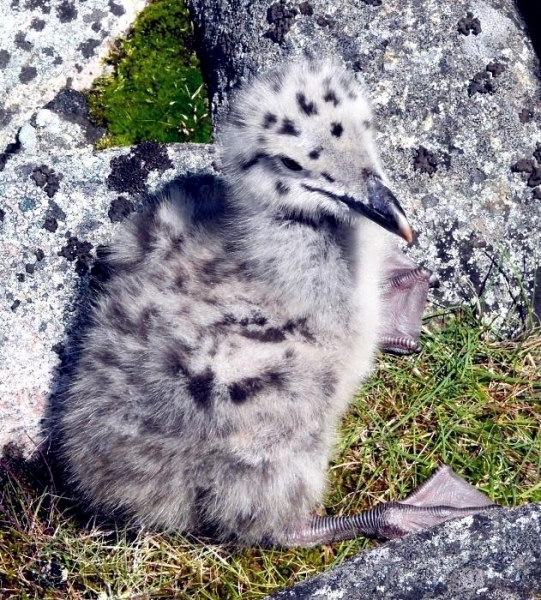 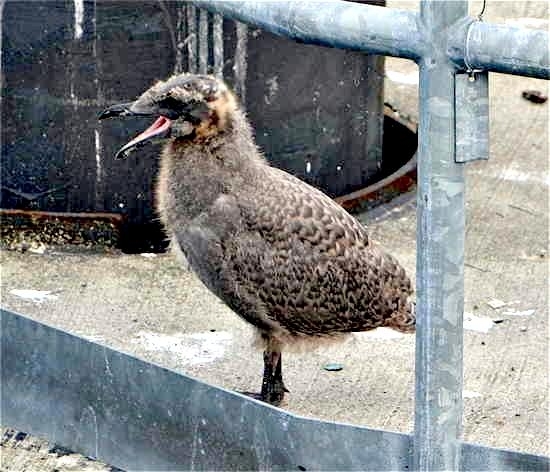 This gull takes 2 years to reach maturity. 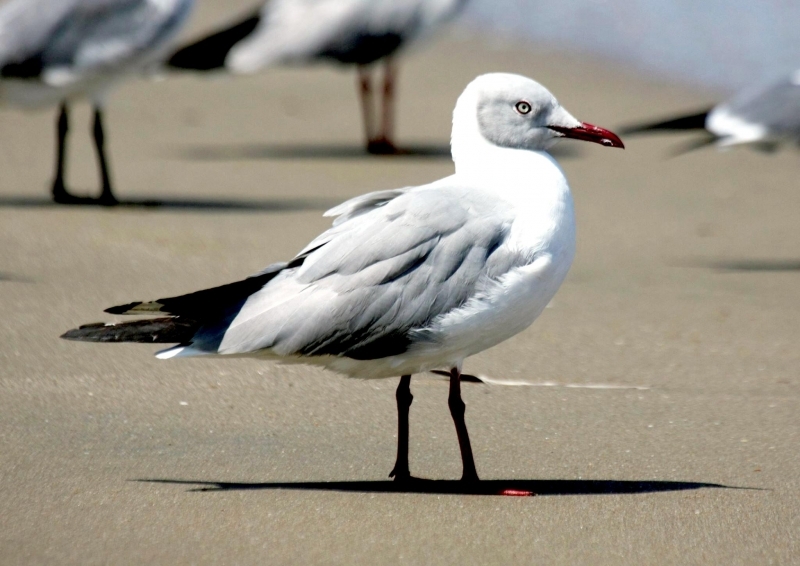 First-year birds have a black terminal tail band and more dark areas in the wings. 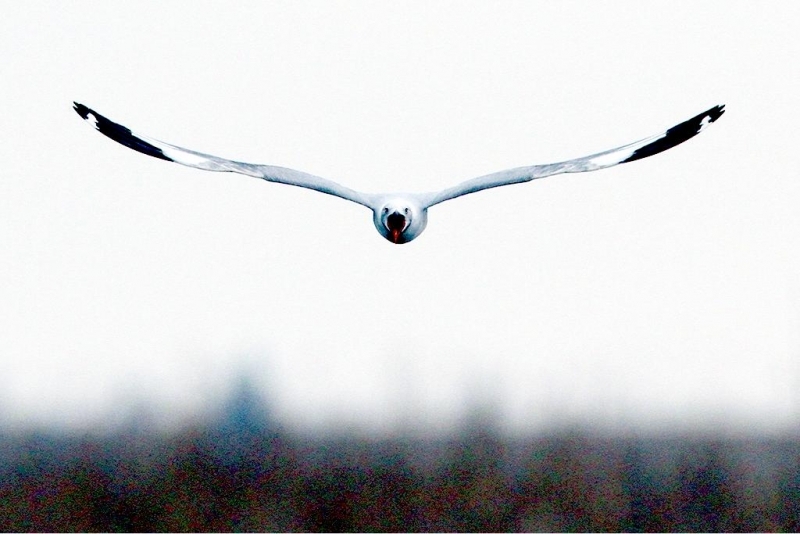 In flight, the wings are broader and held flatter than those of the Black-headed Gull. 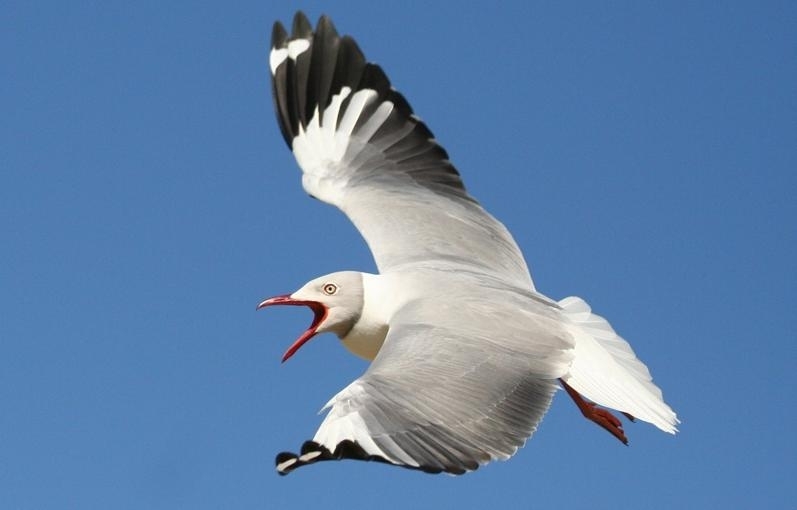 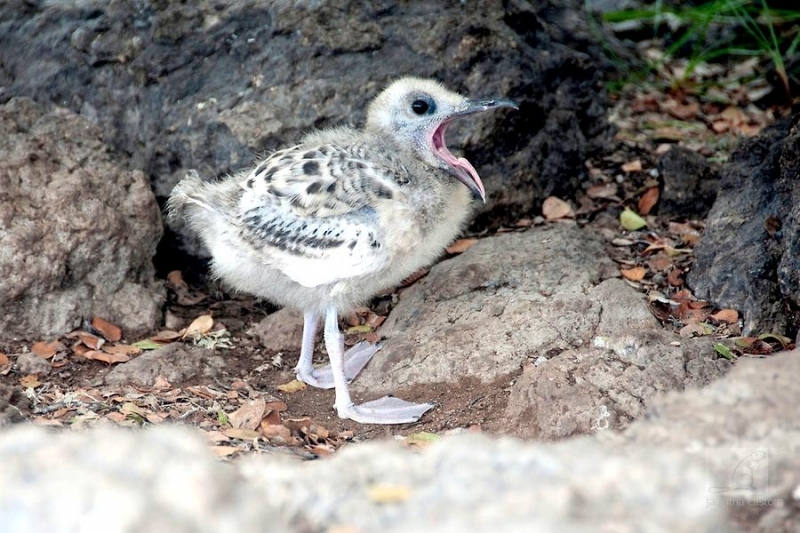 This is a noisy species, especially at colonies with their call sounding like a raucous crow-like caw, caw.